Fourteen years have passed since Third Impact, yet the Angels continue their attacks against mankind. Ikari Shinji is salvaged from Evangelion Unit-01 and finds that things have changed, but not for the better: the world has been devastated, his former allies from NERV have become hostile toward him, and Ayanami Rei, the girl Shinji risked everything for, is nowhere to be found. As he attempts to adjust to this strange new world, Shinji befriends the enigmatic Nagisa Kaworu. 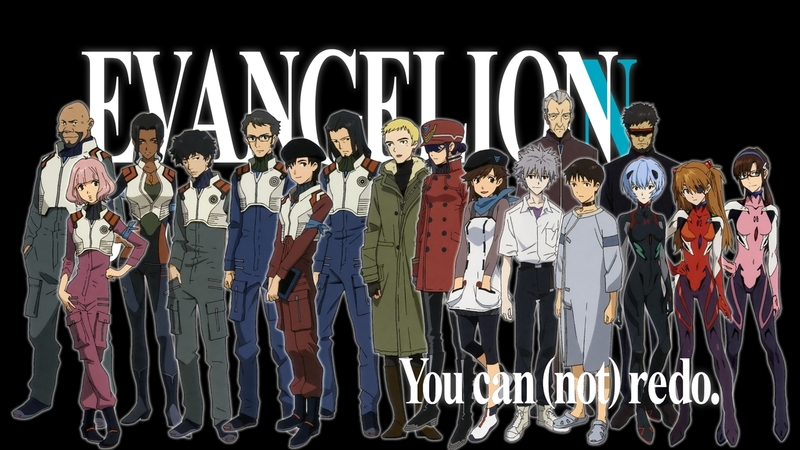 Together in their search for Rei, the pair learns the terrible truths behind the Angels, NERV, and the Evangelions. But a faint glimmer of hope remains for the two boys: a single opportunity to undo the mistakes of the past. Now the remnants of mankind are after them, the Angels race to stop them, and their old friends have declared them public enemy number one. With only Kaworu to support him and all the world against him, Shinji must fight for his one chance for redemption. But that may well mean finishing what he started — the end of the world.